The 39th edition of the Toronto International Film Festival began on Thursday not with a whimper or a bang, but something squarely in-between: An old-fashioned legal drama that is guilty of overwhelming its gifted cast with more side plots than even its 141-minute running time could handle. Not that “The Judge” is a major criminal offense, especially when compared to last year’s listless opening-night gala title, the WikiLeaks-inspired “The Fifth Estate.” For one thing, any movie that allows Robert Downey Jr. some time off from pretending to be either Sherlock or Iron Man should be treasured. But the acting clash of the titans promised by the premise, which finds Downey’s shady big-city lawyer forced into defending his estranged father, a resolutely stubborn and embittered small-town judge who finds himself accused of murder played by the mighty Robert Duvall, only truly materializes during the film’s courtroom climax. In his opening remarks at an early public screening, director David Dobkin, usually the maker of comedies such as “The Wedding Crashers”and “Fred Claus,” explained how he grew up loving such mainstays of the ‘70s and ‘80s cinema as ‘Kramer vs. Kramer,” “Terms of Endearment” and “The Verdict.” “These kind of movies don’t really get made anymore,” he observed. That is sadly true enough when well-told tales packed with memorable characters and fine performances aimed at adults take a backseat to brand-emboldened franchises such as the type that the singularly talented Downey has been devoting himself to lately. Little wonder there was a murmur of assent that resounded through the three fully-loaded tiers packed by well-dressed attendees at the Princess of Wales Theatre. 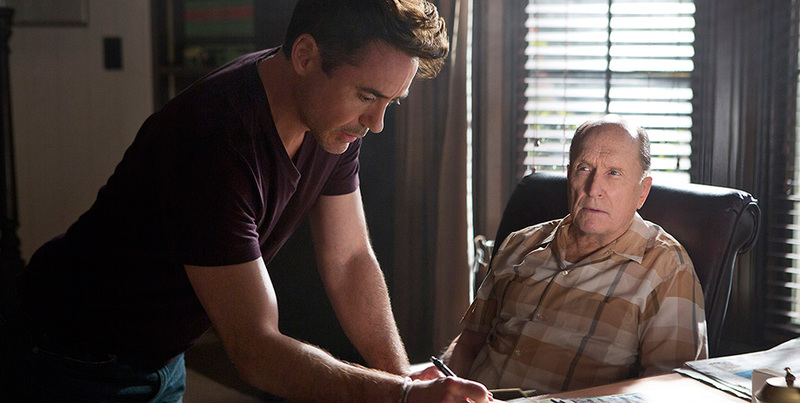 Downey, in the midst of a marital breakup, decides to get closer to his button-cute daughter. He and Duvall attempt to engage in the same kind of uneasy healing process between an older parent and child that was so miraculously depicted by Debra Winger and Shirley MacLaine. And there is plenty of legal hand-wringing over Downey’s efforts to force his stubborn father to cough up the tangled truth behind a car crash that apparently resulted in a man he once sent to jail ending up dead in the road. If that weren’t enough, “The Judge even adds a Capra-esque homespun extra layer: The death of Downey’s beloved mother is the catalyst behind his painful return to a Mayberry-like Midwest burg complete with “Blueberry Festival” banners across the main street. There he is forced to face the past in the form of his gentle-giant older brother (Vincent D’Onofrio, a stealth MVP here), a seemingly autistic younger brother (Jeremy Strong, who has the thankless task of being both a source of slow-on-the-uptake humor and filling in the history of his family by being obsessed with an a pre-camcorder movie camera) as well as former high-school girlfriend who now runs the local diner (Vera Farmiga, who deserves so much better). Toss in Billy Bob Thorton in full alpha-male silver fox mode as the out-of-town persecutor itching to take Downey down and presiding judge Ken Howard, looking more like an angry walrus than the White Shadow, and this is more than one movie can chew. Snagging the opening gala spot has always been somewhat of a mixed blessing, one that TIFF been trying to fix for the past several years with everything from a homegrown hockey operetta to a U2 documentary. 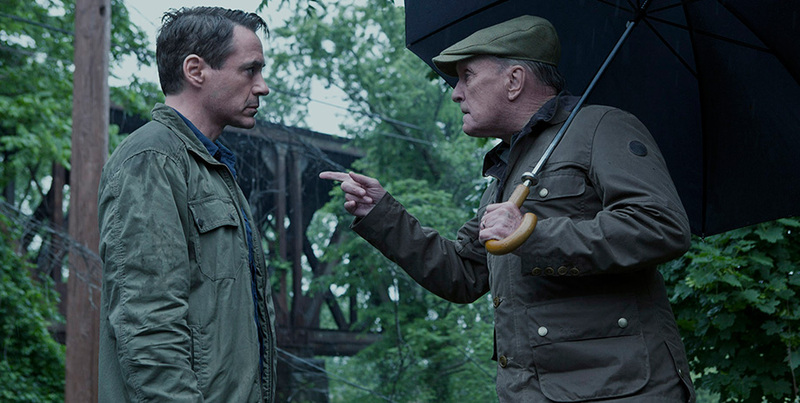 That “The Judge” succeeds on some level is in itself an achievement.